There is always room for a pop of pink, you look great. I love all black outfits! The pop of color is so fun! 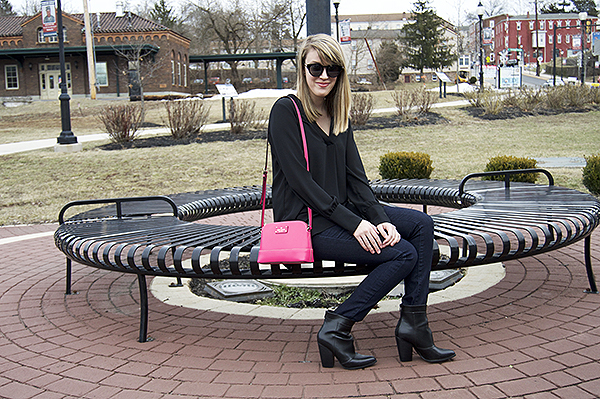 Your pink bag is the absolute perfect pop of color with all that black! Love love love! 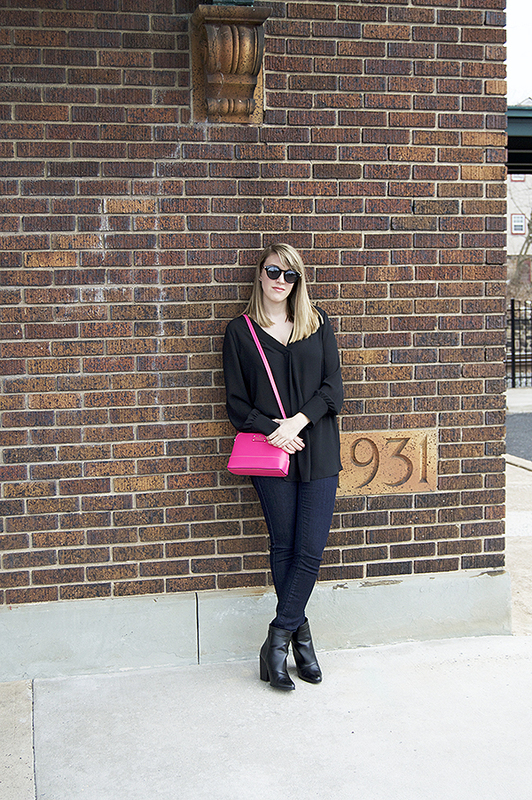 loving the bag and of course I'm a big fan of the "all black!" 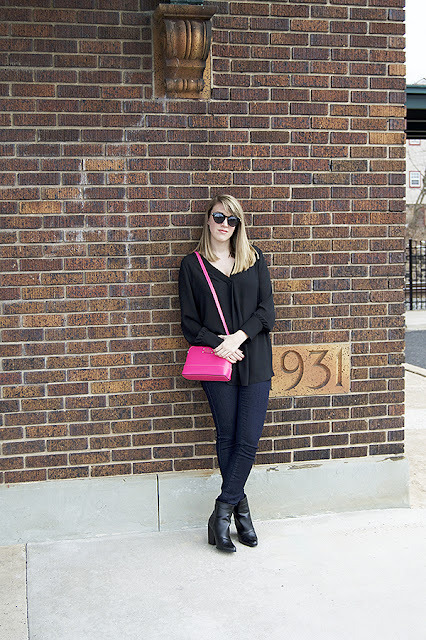 I love the pop of pink and I have a similar Kate Spade bag! 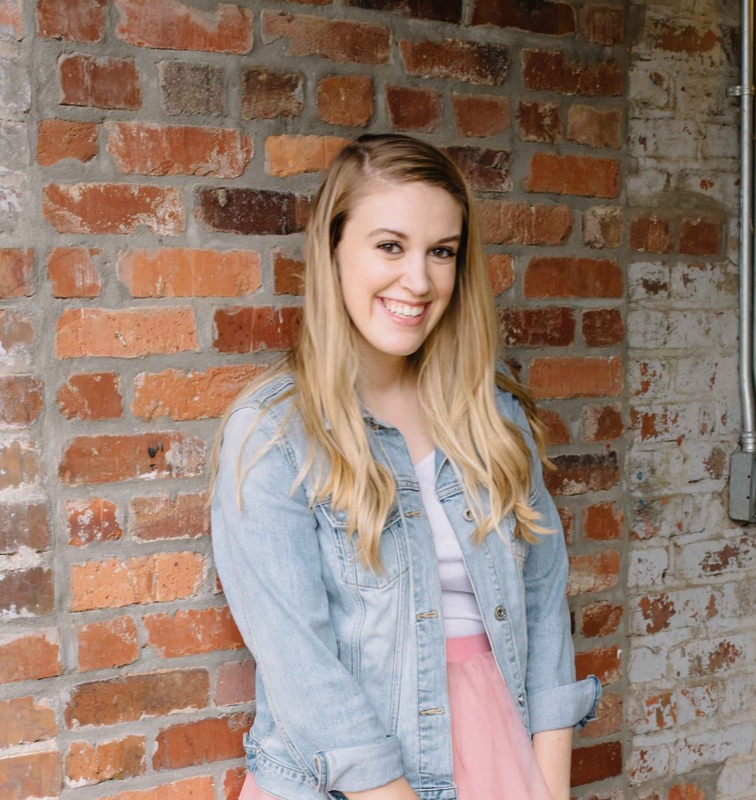 This pop of pink is perfect! Love your black look! Amazing outfit! I love an all black look! 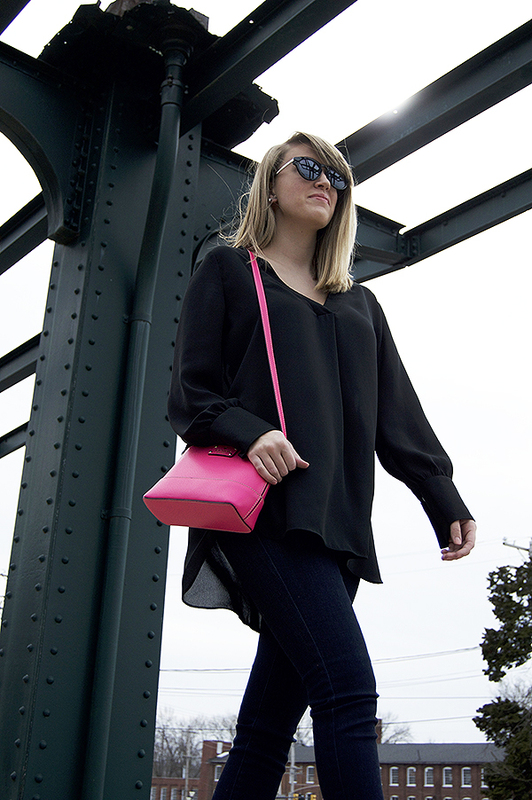 So perfect with your pop of pink. Stunning! That bag is so cute!! I've yet to try an all-black outfit too. I'm not ready to let go of my love for color yet. Ha! love the colour combo! rocknshop.com has curated some really nice collections as well..do check it out!